With the election only 10 days away and Mr Fernando Haddad, the leftwing candidate of the ruling Workers Party trailing by a good 20%, the heavy attack ads have been launched. 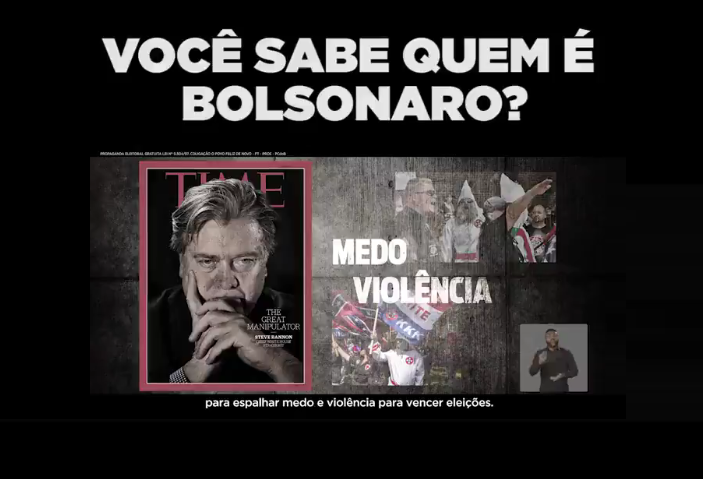 Yesterday, Mr Haddad lit up social media with a video showing leading candidate Mr Jair Bolsonaro’s links to Mr Steve Bannon, the former White House chief strategist. The video furthermore shows images of people being tortured and was clearly created to scare Brazilians of what would happen in a nation governed by Mr Bolsonaro, a former army captain. Brazil votes in the second round of its presidential election on Sunday 28 October. If polls are to be believed then Mr Bolsonaro will win with a landslide 60% of the votes. He's a drunk and a civ-nat minded boomer. Trump was smart to fire him. Actually, if he's sabotaging anyone, it's totalitarian Communist regimes; just like the ones the Left want to create here.